A few months ago, we made the migration of our JSF1.2/RichFaces 3.3 applications to the last versions JSF2.2/RichFaces 4.5. Replacing the old jars by the new ones and taking care of the configuration files was just not enough as in RF4.5 lots of xml tags and attributes were renamed or even removed. So the migration consisted in rewriting arround 500 xhtml files with the new syntax… Faced with the scale of the task, we thought about an effortless way a bit more “computerized”… and so we wondered : Is there any technology capable of transcribe an xml file from one syntax to another ? XSL/XSLT of course ! Before diving into the subject, I am going to set the context back and explain why this migration was a necessity. 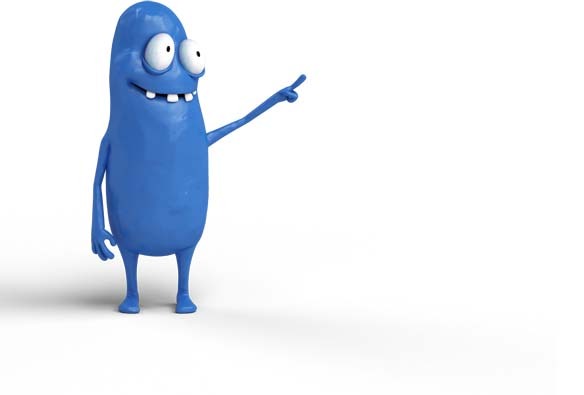 <!-- Supprimés <xsl:template match="rich:paint2D" /> <xsl:template match="rich:separator"
<!-- Supprimés To Do <xsl:template match="rich:columns" /> <xsl:template match="rich:dataFilterSlider"
<!-- Supprimés <xsl:template match="rich:effect" /> <xsl:template match="rich:gmap"
N.B : The RichFaces migration guides takes an inventory of ~80% of the transformation rules, the 20% left has been added regarding to the tests. 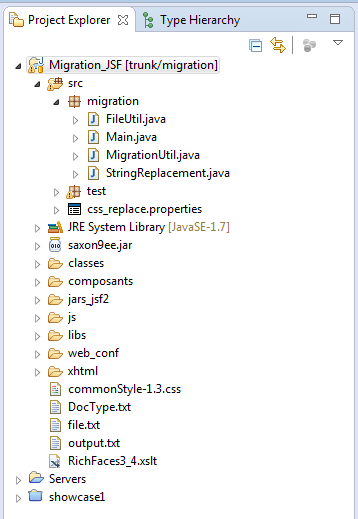 To execute these transformations, we have simply built a classical java project under Eclipse in the same workspace as the project to migrate. We use the Saxon library as the XSLT engine (especially to take advantage of the string replacement functions offers by XSL 2). So that means this jar is in the BuildPath of the project. The constants indicates where the project to migrate is and where the libs, css and xhtml files inside the projet are. 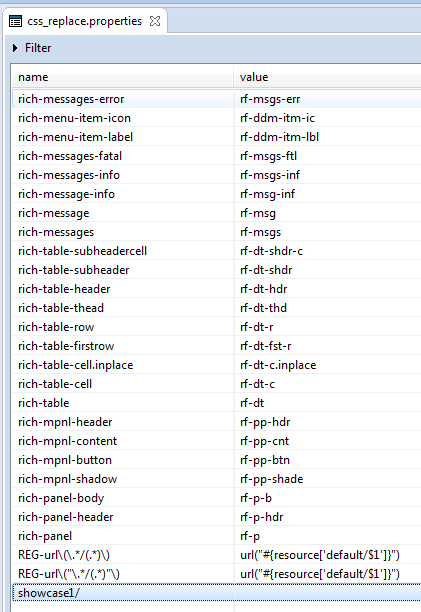 The 2nd step of the algorithm consists in rewriting the Richfaces CSS class that we overloaded. Using a properties files which lists all the transformation, we apply the java replaceAll function onto each line of each css file. Voilà ! Thanks to a java program and XSL/XSLT, we were able to automate the migration of our Richfaces projets ! See you soon for the next post! Hi there. Thanks for this example on how to automate migration from JSF 1 to JSF 2. Are you able to provide your source code for the other three java classes as well? Thanks. Hi! You are made a great job! Is the complete project available for download? I will really appreciate it if you post the link here. Fine job. I would be really nice to post the source code of your two Util classes and the StringReplacement.clss too. Thank you very much.